Inspired Nutraceuticals, the brand behind the powerful pre-workout DVST8 White Diamond Reserve, has unveiled its latest product as well as made it available for pre-order. That all-new supplement is the revamped version of its 2016 released and multi-effect, muscle potentiator LGND. LGND from Inspired is as mentioned, quite a unique product featuring a strong mix of ingredients for a variety of benefits. 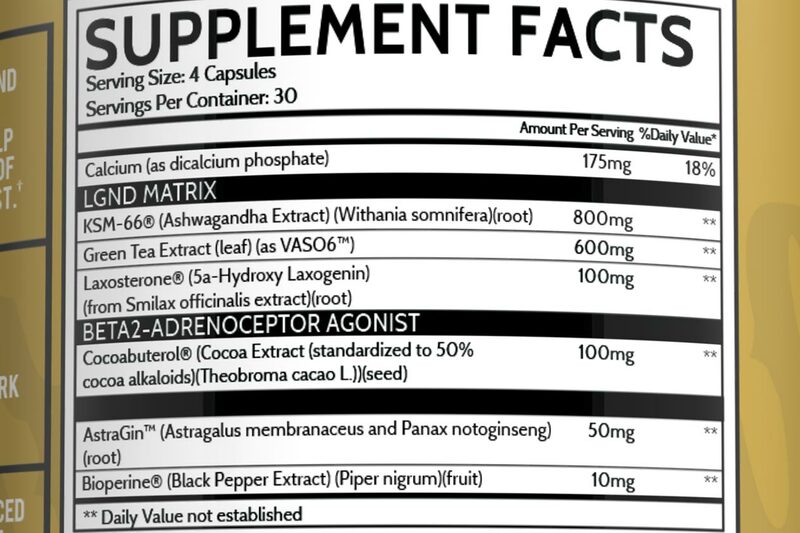 The supplement comes with a well-dosed, four-capsule serving made up of six main ingredients to help with strength, power, and endurance, as well as support for building muscle. The formula behind Inspired’s new LGND is actually a little more different from the original than we expected, although it is certainly still loaded. Unlike its predecessor, the product does not feature Aquamin minerals or epicatechin; it does however have two new ingredients in the mix to ensure it remains a reliable, multi-effect supplement. You can see the complete combination of components in the reformulated Inspired LGND in the facts panel above. Like the original, it has 100mg of Cocoabuterol cocoa extract, 33% more KSM-66 ashwagandha at 800mg, AstraGin and BioPerine for absorption, and the new additions, 100mg of Laxosterone laxogenin and 600mg of Vaso6. You can now pre-order the revamped LGND over on Inspired’s website for shipping next month, with a special and heavily discounted introductory deal. The product carries a regular price of $64 for a full 30 serving bottle, although for a limited time you can use the coupon code “35OFF” and get it for $41.60, plus you’ll get a free LGND themed tee.